The Canadian Labour Congress (CLC) is calling on governments to bring an end to the AIDS epidemic by 2030. While HIV infections have dropped by 38% since 2001, 2.1 million people were newly infected in 2013. Young women and adolescent girls are at disproportionately high risk. 22 million people are unable to access life-saving treatment because of the cost of patented drugs and poor health infrastructure. The SJF has joined this campaign, which is pressing for strengthened health systems, delivery of workplace education, and benefits for workers affected by HIV/AIDS to prevent their families from being dragged into poverty. The campaign to end HIV/AIDS by 2030 highlights the need to strengthen health systems, to support workplace education and prevention, and to extend benefits for workers affected by HIV to prevent their families from being dragged further into poverty. 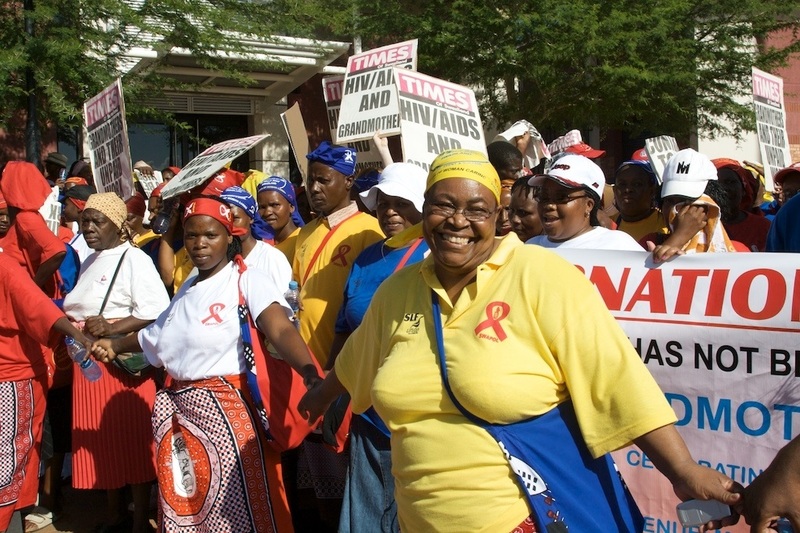 Partnering with PSAC Ontario Region, the SJF contributes to the Stephen Lewis Grandmothers Campaign, which highlights the innovative approaches being used by grassroots African organizations in responding to the HIV/AIDS crisis. Through Ribbons for Humanity, the SJF raises funds for the Inuit women's organization, Pauktuutit, to continue carrying out its innovative sexual health, Hepatitis C, and HIV/AIDS programs. Pauktuutit’s approach of addressing health issues within the context of social exclusion, housing shortages, lack of potable water and other social issues in Inuit communities, deserves our support and recognition.